The soul of the winery is the untiring, generous Angelo Ferrio, whose contagious good spirits and cheerfulness infect all around him. 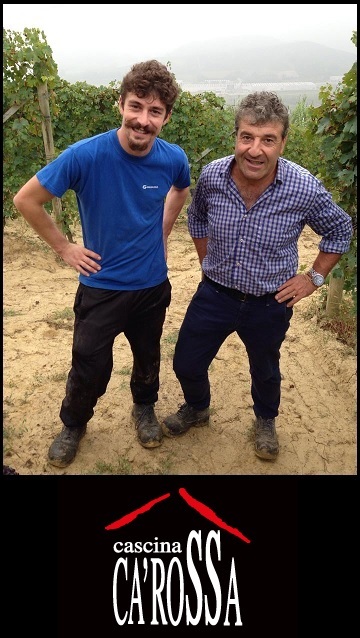 As of 2014, he has a new helper in his son Stefano, fresh from a six-year enology course in Alba. 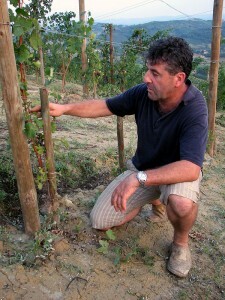 VINEYARDS – The vine rows are in the best positions in the Roero district. Mompissano, a south-facing hillside of one and a half hectares of immaculately tended nebbiolo vines growing on limestone, is a jewel of a vineyard; here most operations are performed by hand and topping is strictly forbidden. Mulassa, the babera vineyard, is on the same hill. 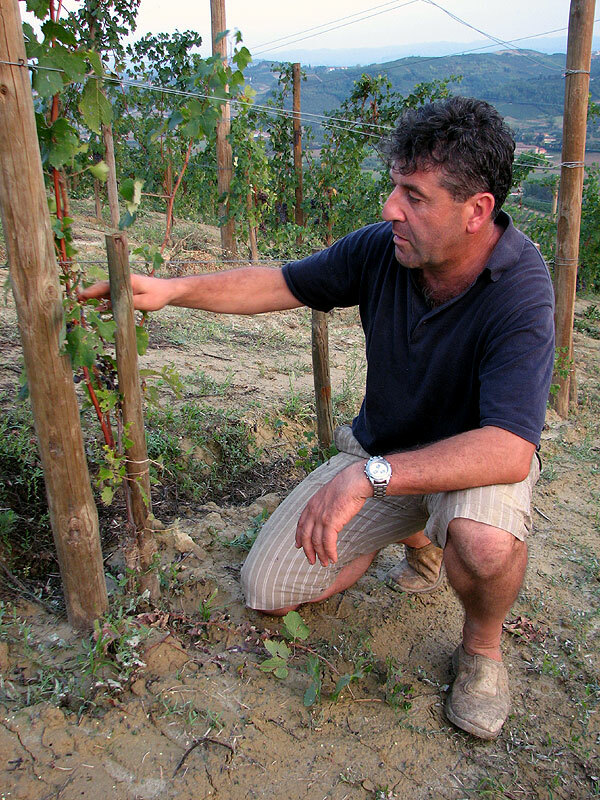 Audinaggio, a 60-year-old two-hectare vineyard with sandy soil, is near the village of Vezza, and in Santo Stefano Roero a new three-hectare property has been planted with nebbiolo and arneis. WINES – The most important vineyards produce the three (non-filtered) flagship red wines, which are normally fermented for 25 – 30 days with native yeasts. Roero Mompissano Riserva 2010, which ages for 30 months in 25-hectoliter casks has structure and finesse. The wonderful 2011 vintage gives us the grapey, stylish Roero Audinaggio 2011 and, more enjoyable still, Barbera d’Alba Mulassa 2011, aged in large barrels. Want to know a secret? Expect a great Mompissano from this vintage! The simplest wines are characterized by drinkability and fruit: with its blossomy nose and fruity finish, Roero Arneis 2012 is a classic in its category, an excellent Everyday Wine. Barbera d’Alba 2012 is even-textured, warm and alluring, Langhe Nebbiolo 2011 is pleasantly fuller bodied. “When someone asks why Organic I answer: that’s the easiest thing in the world, it’s because that’s the way my grandparents farmed so many years ago. They only treated the soil with sulfur and copper and they always had a harvest. And the only fertilizer they used was manure. It’s a matter of going back in time. Sometimes I ask myself, why use chemicals when frequently they are put out on the market only to have them pulled off the market a few years later? As I’ve said, we only use sulfur and copper and in this regard we are lucky because our vineyards have a southern exposure. We use only natural yeasts; it’s true sometimes the fermentation lags a bit but by following through we are able to obtain optimal results.